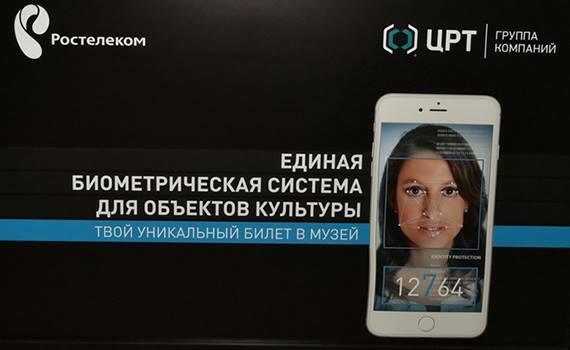 Rostelecom and the Center of Speech Technologies presented a prototype of the biometric system, which is intended for use in various cultural institutions. The complex allows you to identify visitors by face. To use the system, you need to go through biometric scanning and buy a ticket online. Further, at the entrance to a cultural institution, a person will have to undergo video identification by means of a special device. Thus, the person, in fact, becomes a unique pass. It is noted that the new solution is one of the options for using the Unified Biometric System, which will allow remote opening of accounts, deposits and loans in banks. It is assumed that, in the long term, when using the new solution, it will not be necessary to buy a ticket to visit a cultural institution at all - citizens who opened an account in a bank remotely with the help of the Unified Biometric System will have sufficient consent to use biometric data for access to cultural sites in the mobile application of the bank . At the entrance, say, to the museum, the bank will automatically write off the cost of the ticket from the account. The proposed solution has already been tested on the territory of the General Staff of the State Hermitage. In the future, the system can be implemented in museums, theaters, various galleries, etc. In addition to simplifying and accelerating the verification of identity, the platform will provide a number of other advantages. In particular, cultural institutions will be able to form a base of regular visitors, they will receive a new tool in the fight against speculation in tickets, etc.